Crystal Cave offers a great collection of stalagmites, stalactites and other cave formations in Greene County, just a short ways north of Branson, MO. 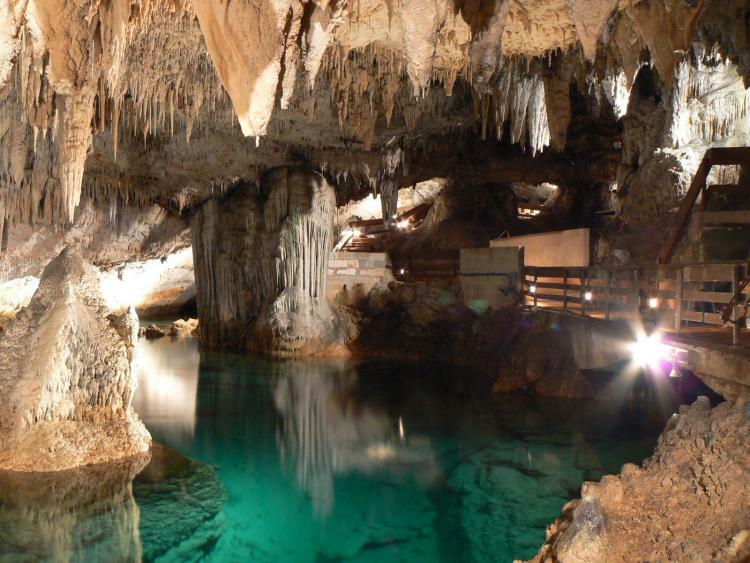 It’s a great way for the average visitor to catch an extraordinary glimpse at some truly unique cave structures. From multi-colored flowstone formations to ancient Native American markings, you’ll be able to see every step of this cave’s history within its structure. The cave stays 59 degrees all the time, so visitors may want a jacket to stave off a chill.